Logan was born in Texarkana, Texas, the son of Susan (née Nabors) and Joshua Lockwood Logan. When he was three years old his father committed suicide. Logan, his mother, and younger sister, Mary Lee, then moved to his maternal grandparents’ home in Mansfield, Louisiana, which Logan used forty years later as the setting for his play The Wisteria Trees. Logan's mother remarried six years after his father's death and he then attended Culver Military Academy in Culver, Indiana, where his stepfather served on the staff as a teacher. At school, he experienced his first drama class and felt at home. After his high school graduation he attended Princeton University. At Princeton, he was involved with the intercollegiate summer stock company, known as the University Players, with fellow student James Stewart and also non-student Henry Fonda. During his senior year he served as president of the Princeton Triangle Club. Before his graduation he won a scholarship to travel to Moscow to observe the rehearsals of Konstantin Stanislavski, and Logan left school without a diploma. Logan began his Broadway career as an actor in Carry Nation in 1932. He then spent time in London, where he "stag[ed] two productions ... and direct[ed] a touring revival of Camille". He also worked as an assistant stage manager. After a short time in Hollywood, Logan directed On Borrowed Time on Broadway. The play ran for a year, but his first major success came in 1938, when he directed I Married an Angel. 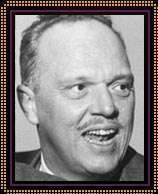 Over the next few years he directed Knickerbocker Holiday, Morning's at Seven, Charlie's Aunt, and By Jupiter. In 1942, Logan was drafted by the U.S. Army. During his service in World War II, he acted as a public-relations and intelligence officer. When the war concluded he was discharged with the rank of Captain, and returned to Broadway. He married his second wife, actress Nedda Harrigan, in 1945; Logan's previous marriage, to actress Barbara O'Neil, a colleague of his at the University Players in the 1930s, had ended in divorce. After the war, Logan directed the Broadway productions Annie Get Your Gun, John Loves Mary, Mister Roberts, South Pacific, and Fanny. With Thomas Heggen (author of the original novel), Logan shared the Tony Award in 1948 for writing Mister Roberts. Logan shared the 1950 Pulitzer Prize for Drama with Richard Rodgers and Oscar Hammerstein II for co-writing South Pacific. The show also earned him a Tony Award for Best Director. Despite his contributions to the musical, in their review the New York Times originally omitted his name as co-author, and the Pulitzer Prize committee initially awarded the prize to only Rodgers and Hammerstein. Although the mistakes were corrected, in his autobiography Logan wrote "I knew then why people fight so hard to have their names in proper type. It's not just ego or 'the principle of the thing,' it's possibly another job or a better salary. It's reassurance. My name had been so minimized that I lived through years of having people praise 'South Pacific' in my presence without knowing I had had anything to do with it." When director John Ford became sick, Logan reluctantly returned to Hollywood to complete the filming of Mister Roberts (1955). Logan's other hit films included Picnic (1955), Bus Stop (1956), Sayonara (1957), and South Pacific (1958). He was nominated for an Academy Award for Directing for Picnic and Sayonara. In 1961, he was a member of the jury at the 2nd Moscow International Film Festival. In 1964, he produced and directed the movie Ensign Pulver, a sequel to Mr. Roberts, but it got a lukewarm reception and he later bemoaned that it had not measured up to the original. His later Broadway musicals All American (1962) and Mr. President (1962) and the films of Lerner and Loewe's Camelot (1967), and Paint Your Wagon (1969) were less well received. Logan's 1976 autobiography Josh: My Up-and-Down, In-and-Out Life talks frankly about his bipolar disorder. He appeared with his wife in the 1977 nightclub revue Musical Moments, featuring Logan's most popular Broadway numbers. He published Movie Stars, Real People, and Me in 1978. From 1983–1986, he taught theater at Florida Atlantic University in Boca Raton, Florida. He was also responsible for bringing Carol Channing to Broadway in Lend an Ear!. ↑ "2nd Moscow International Film Festival (1961)". MIFF. Retrieved November 4, 2012.